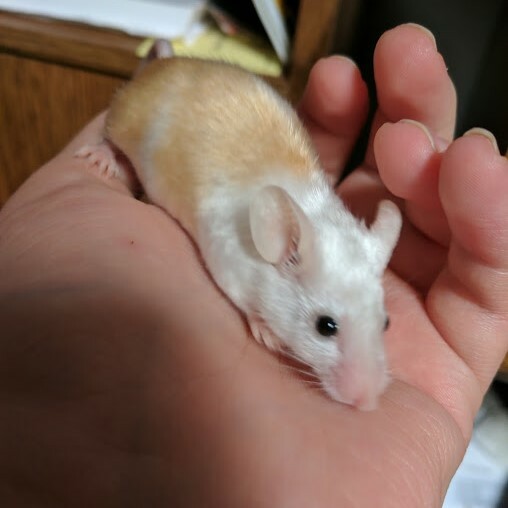 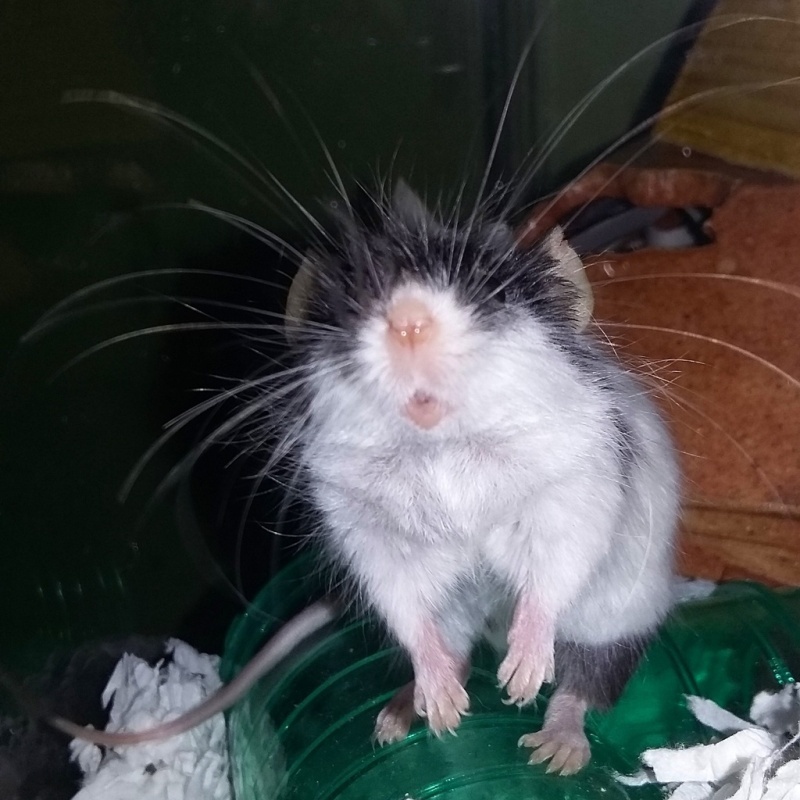 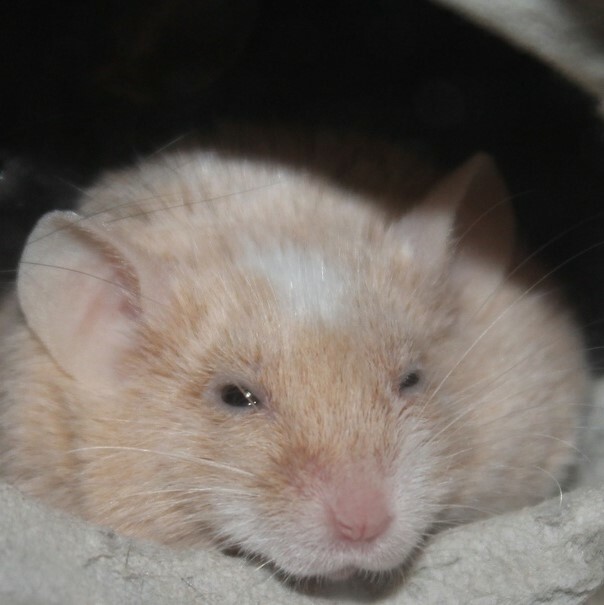 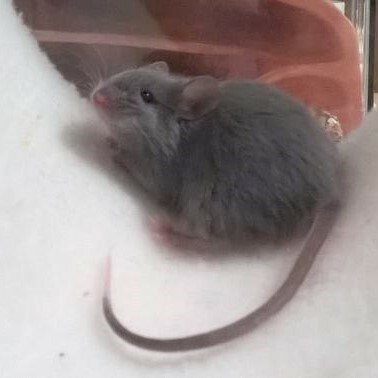 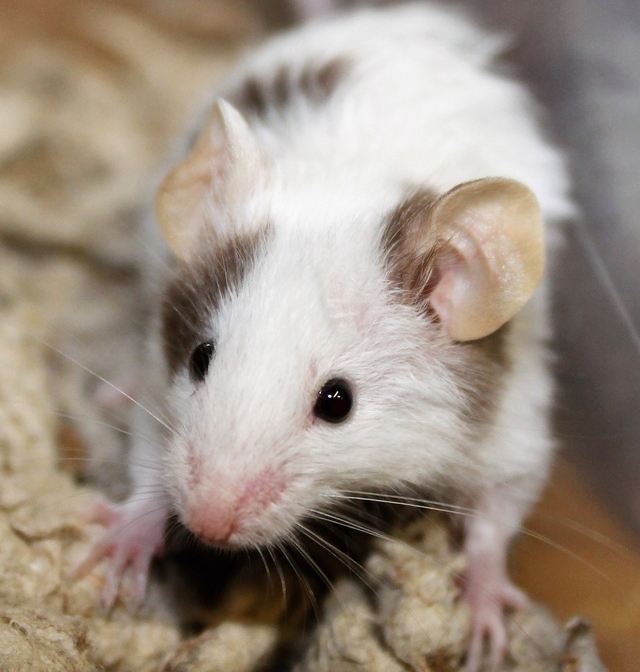 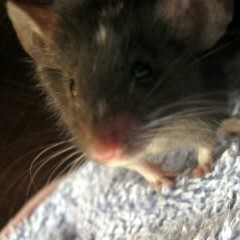 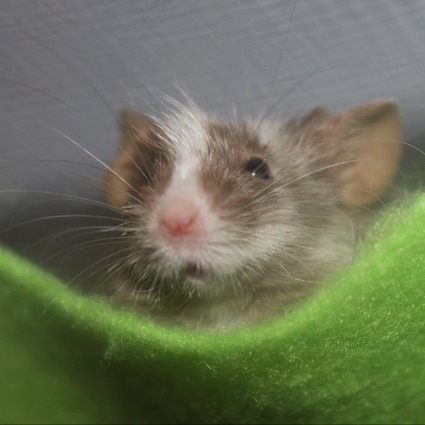 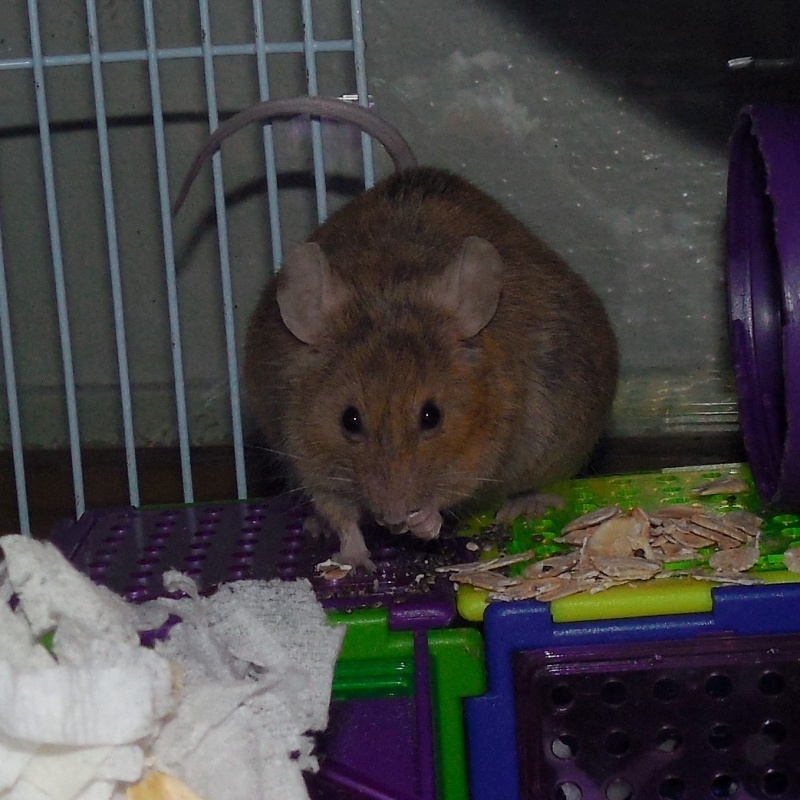 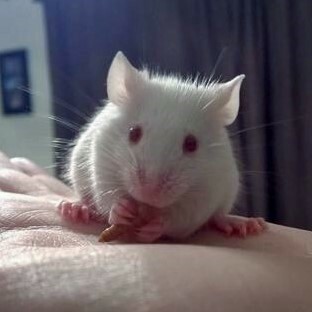 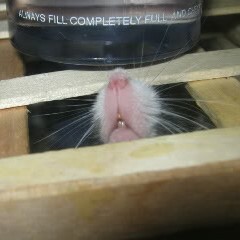 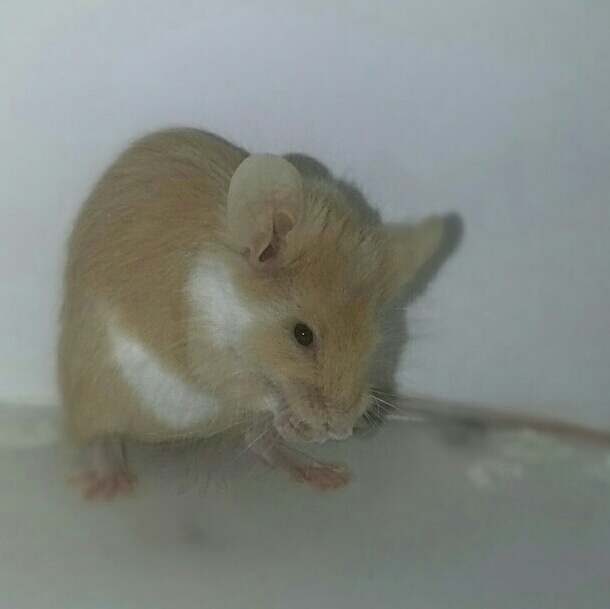 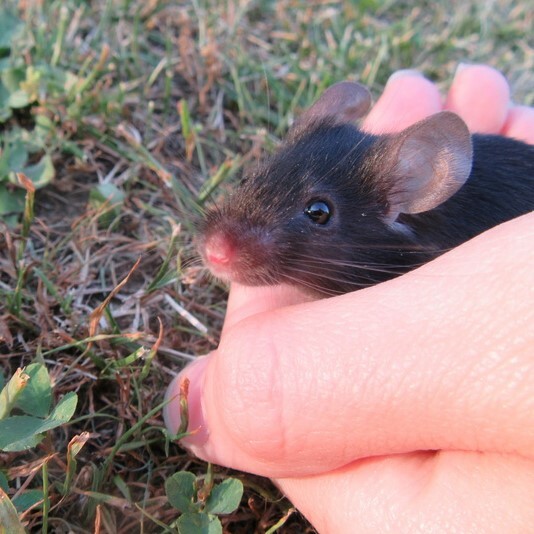 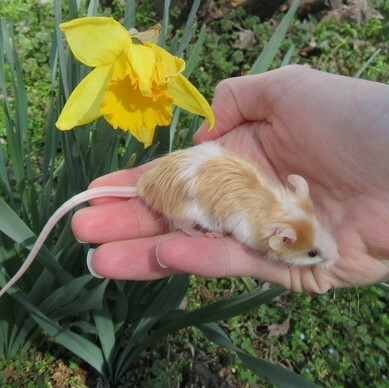 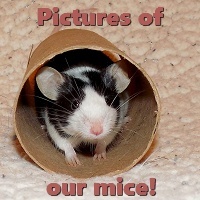 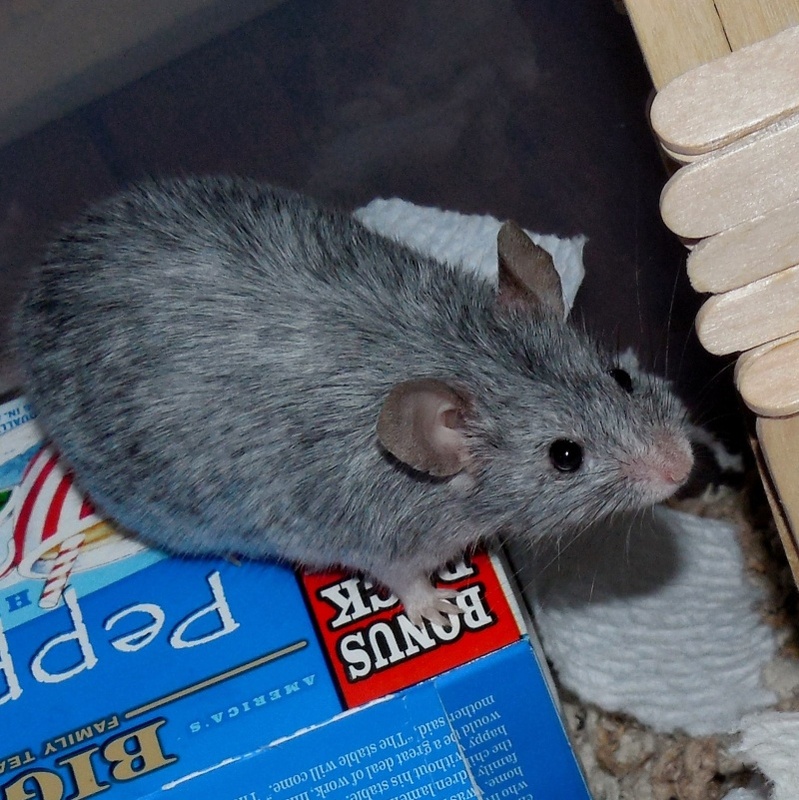 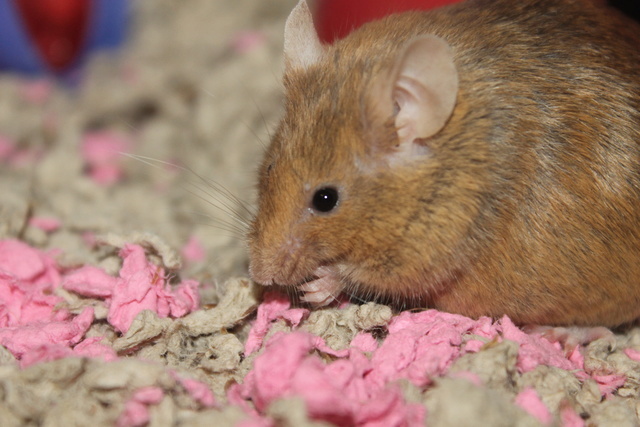 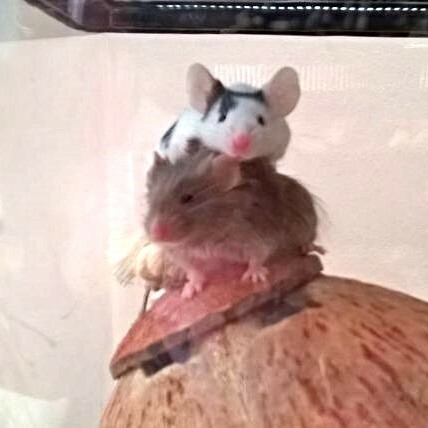 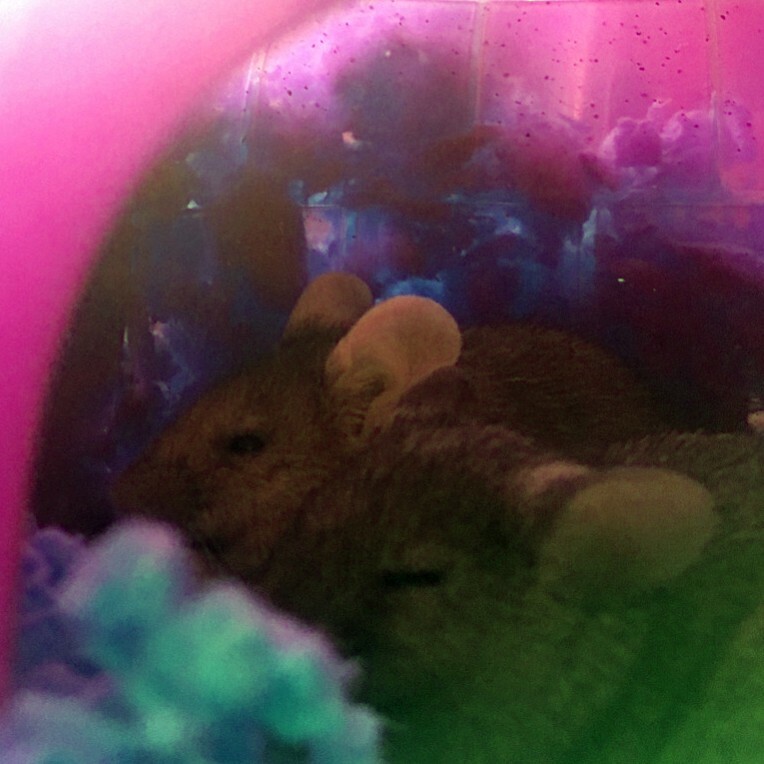 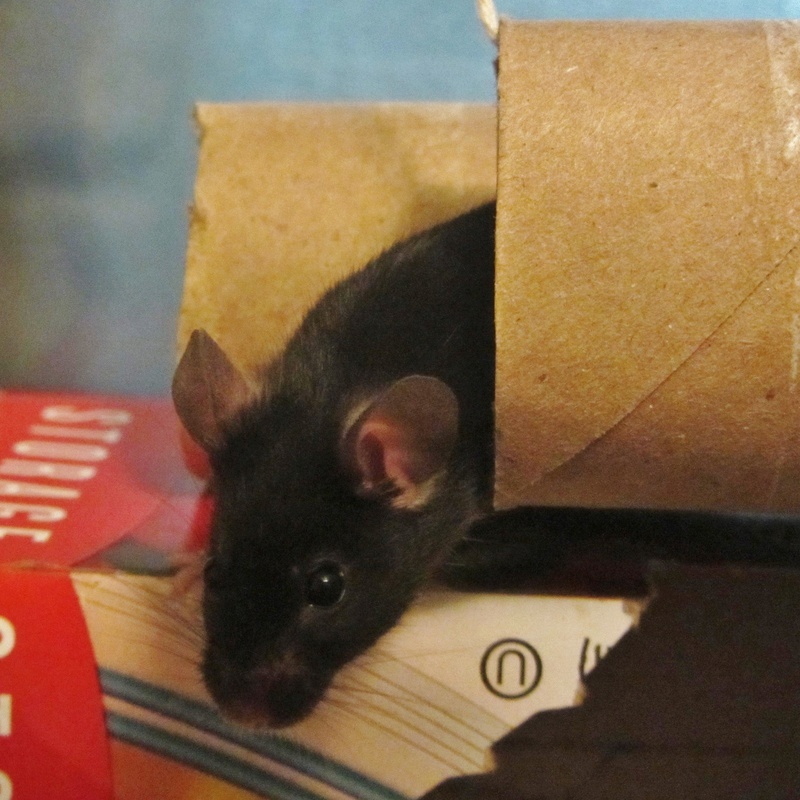 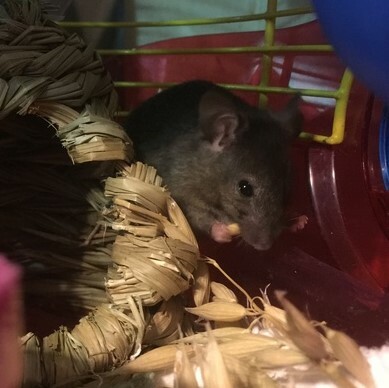 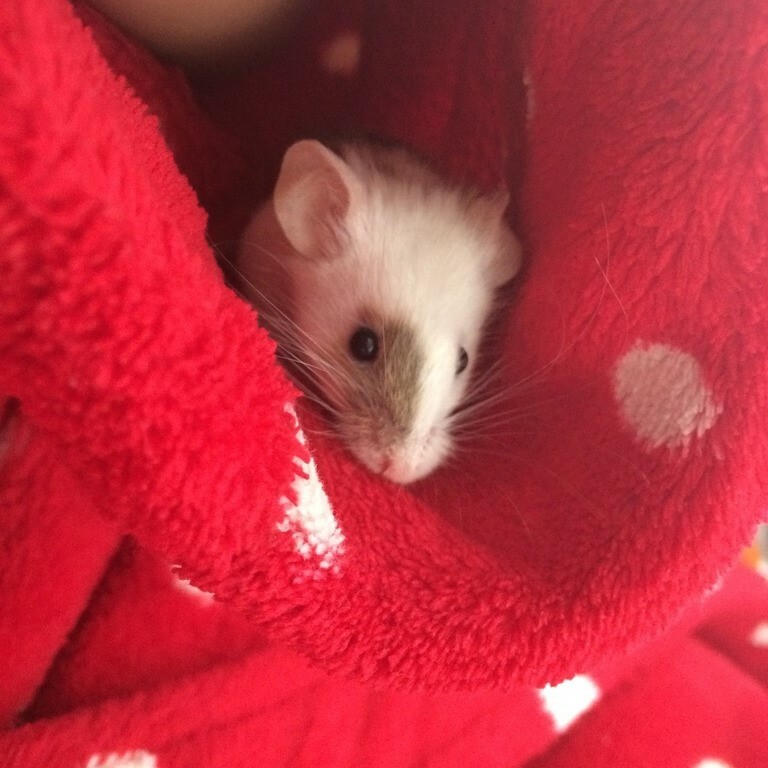 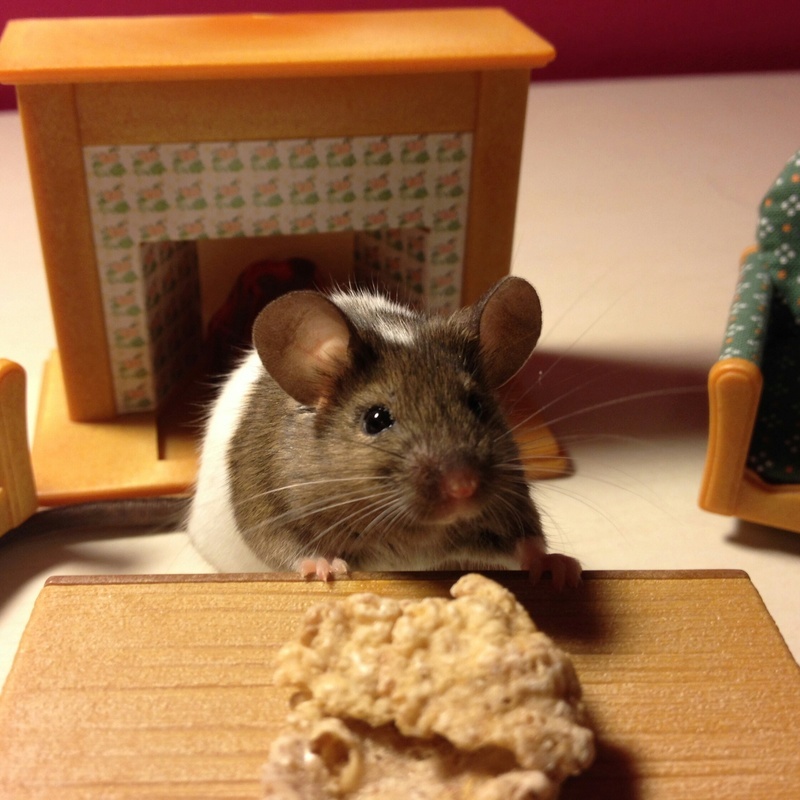 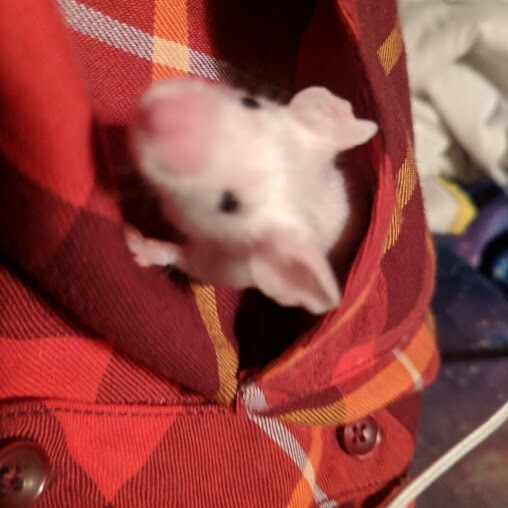 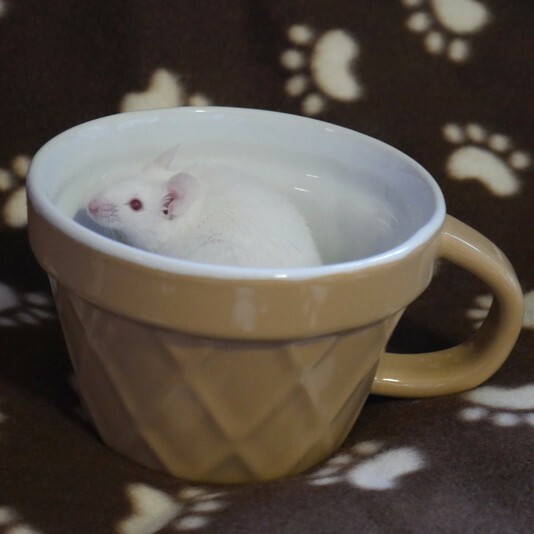 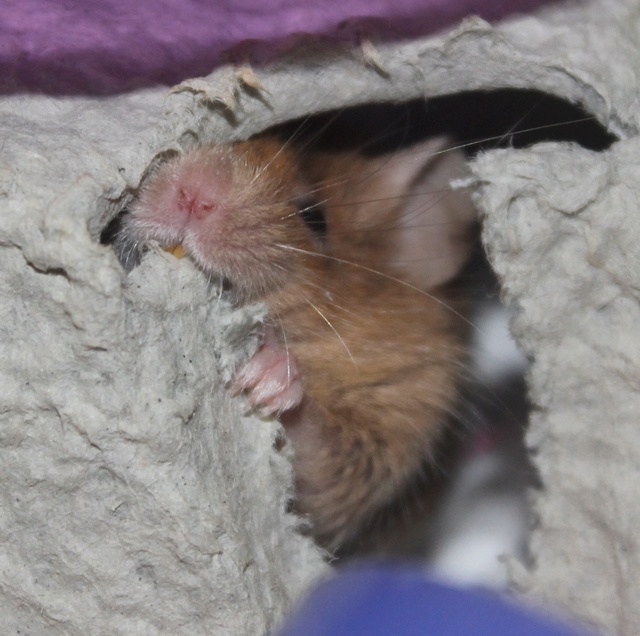 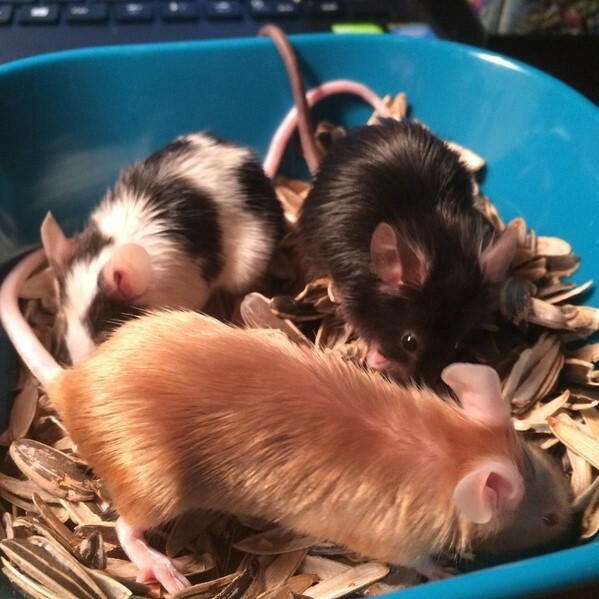 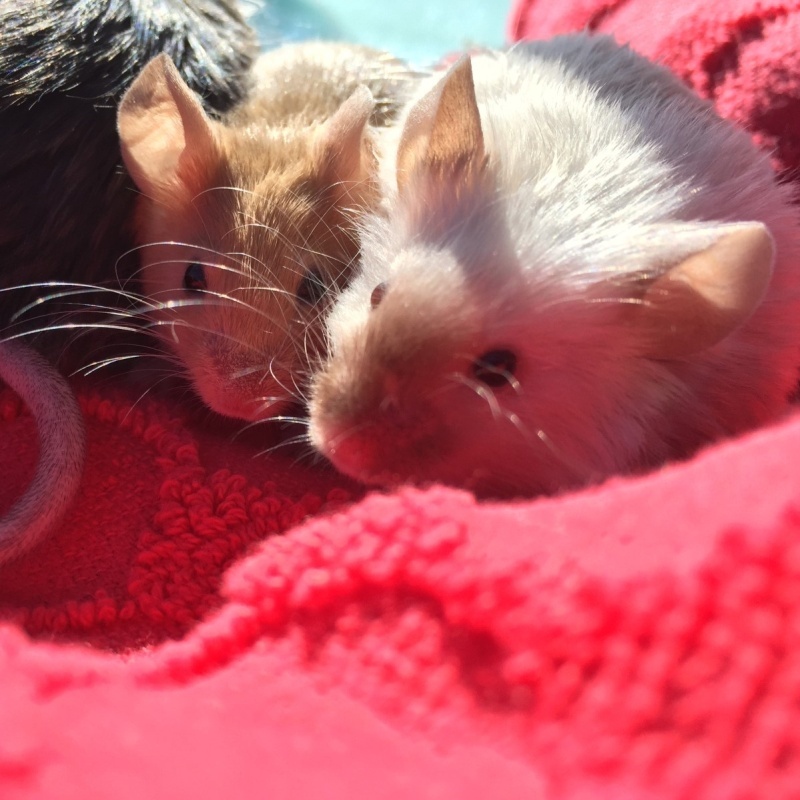 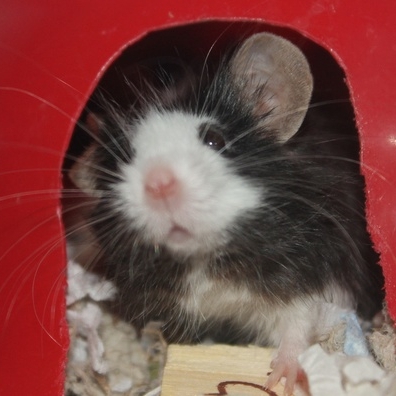 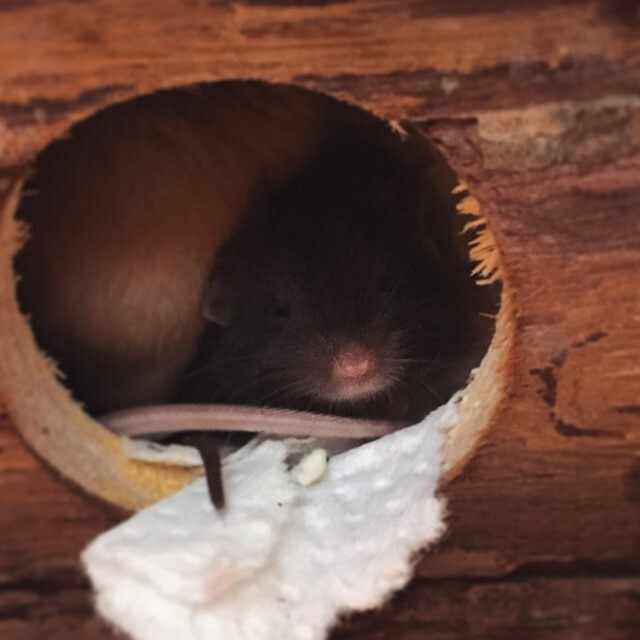 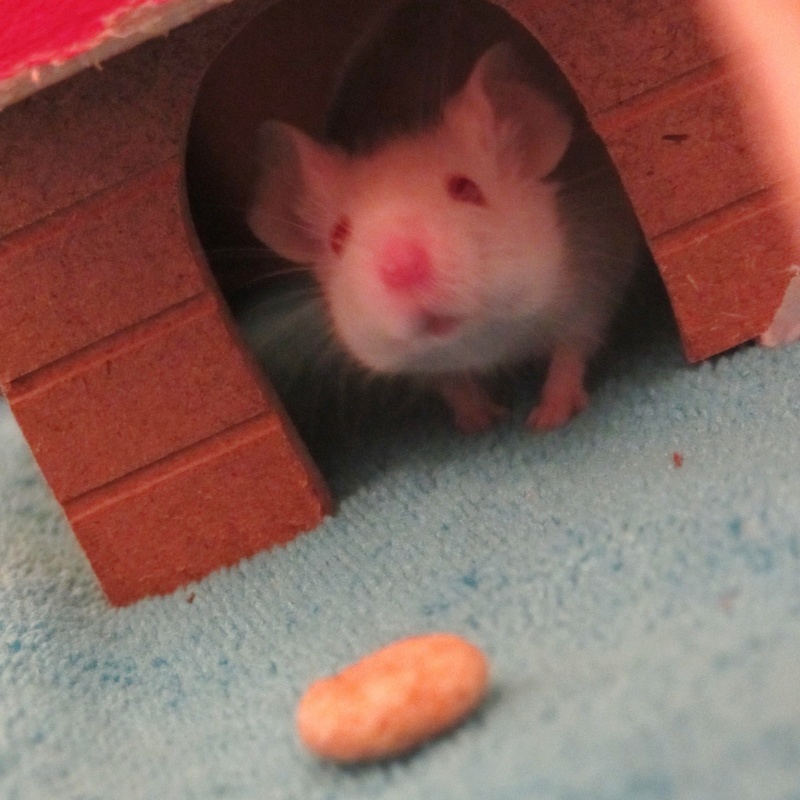 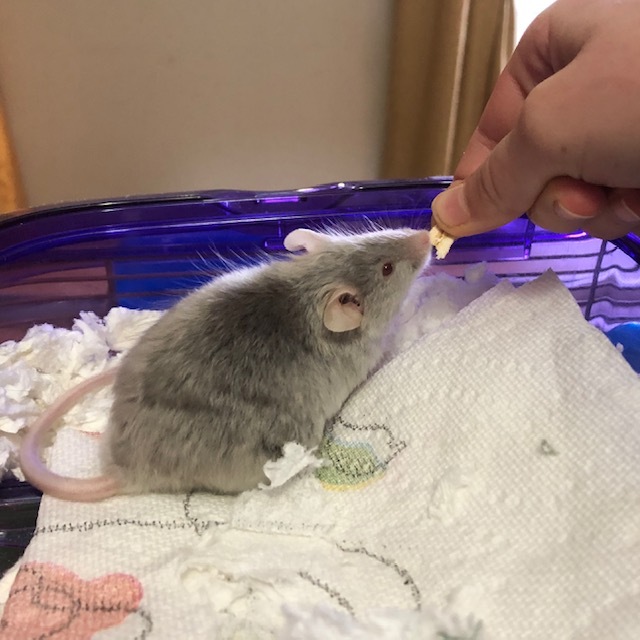 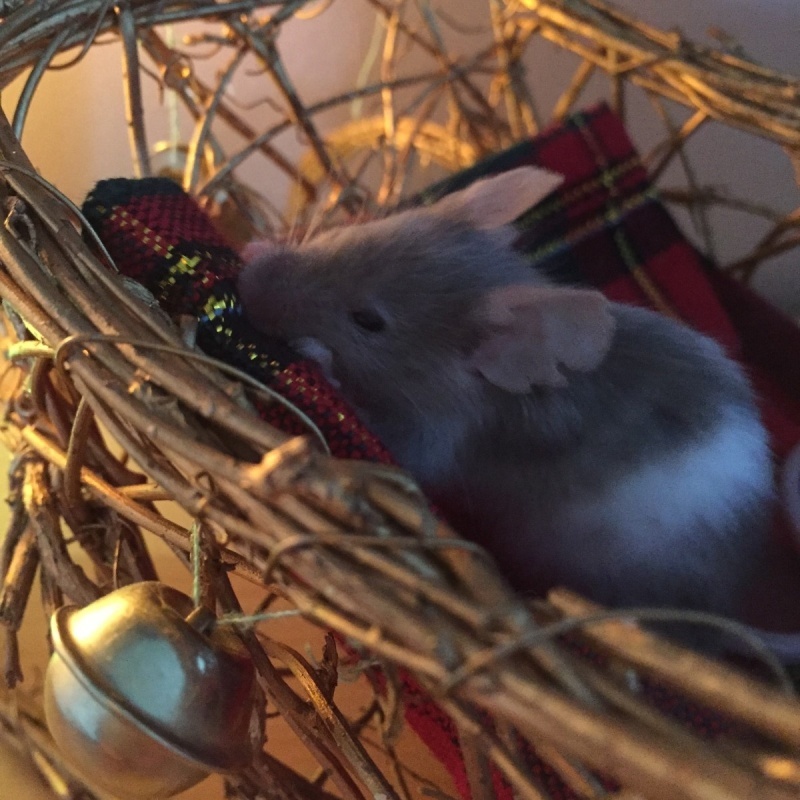 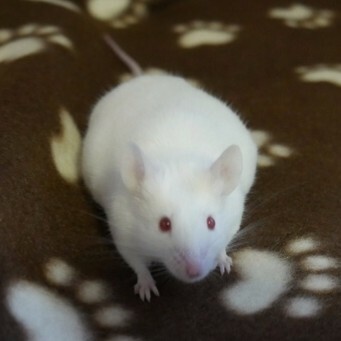 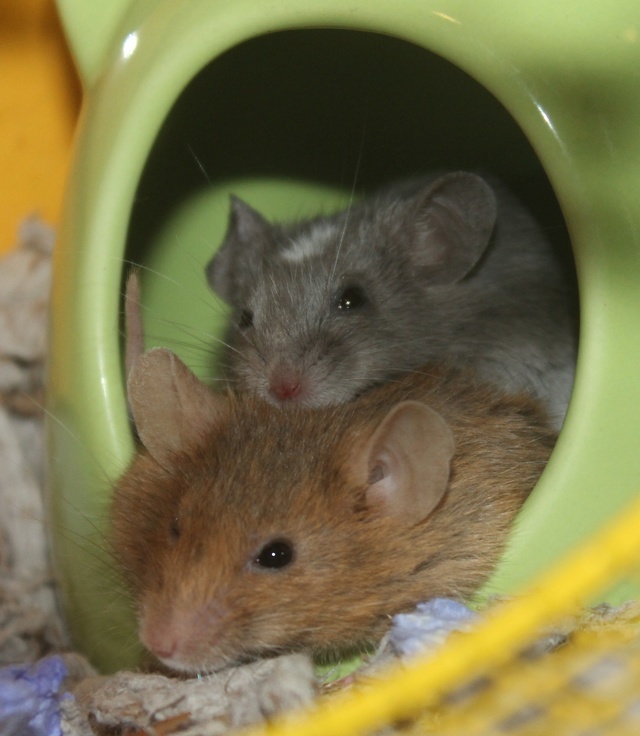 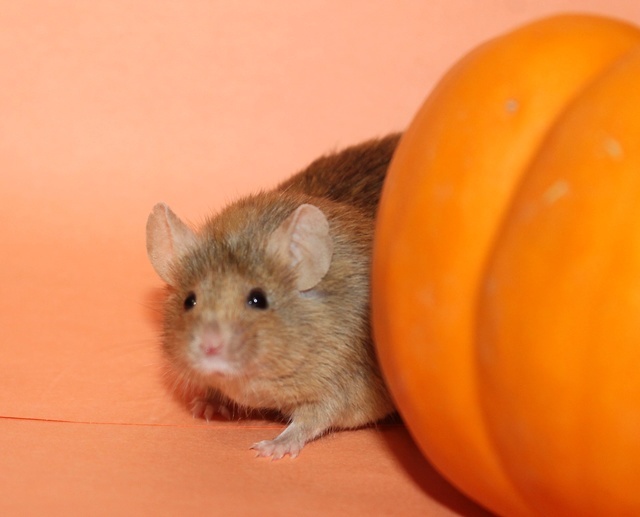 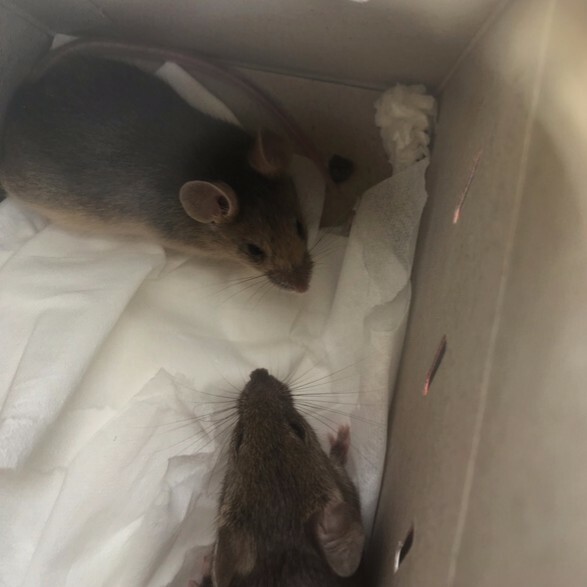 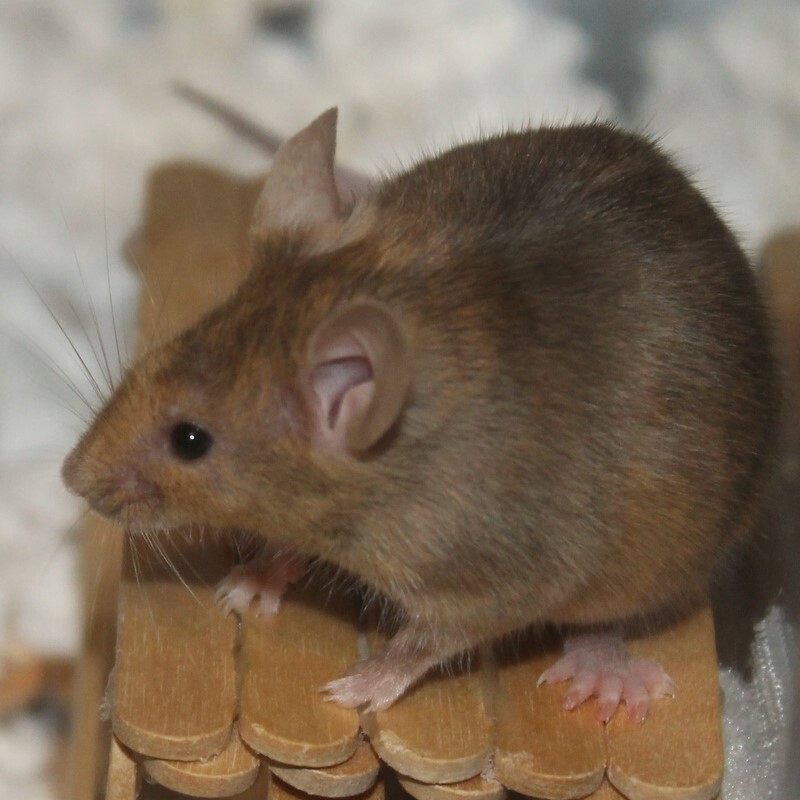 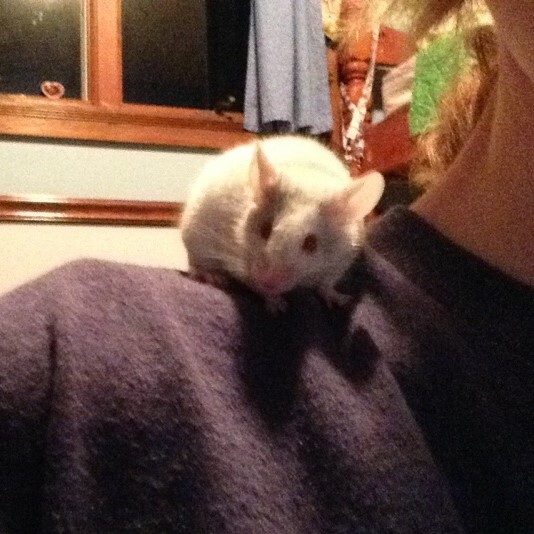 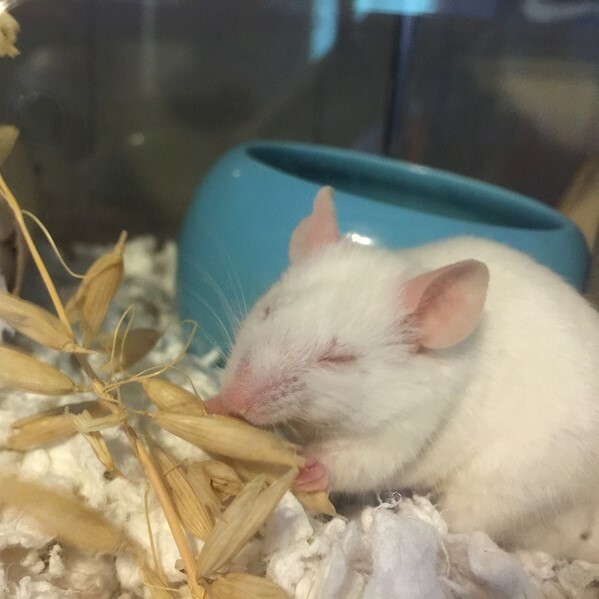 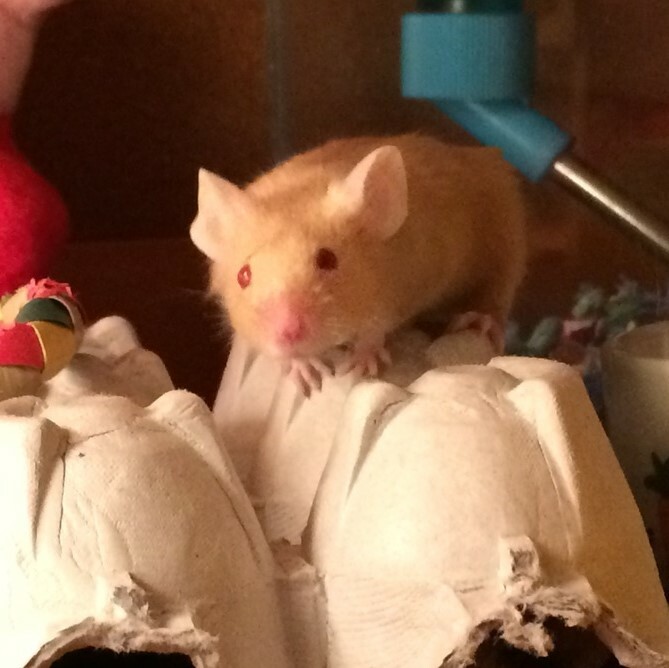 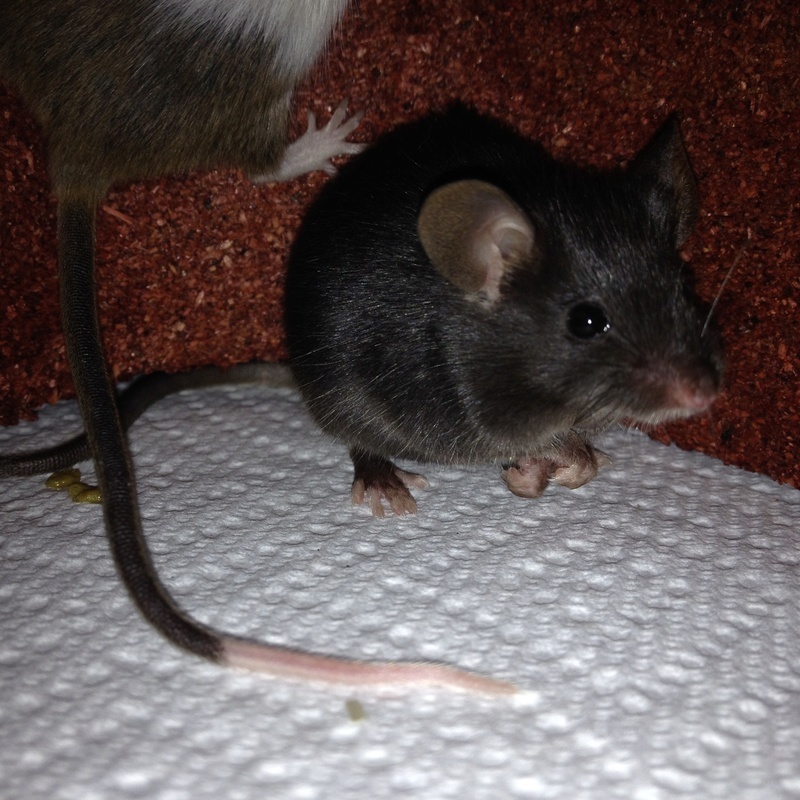 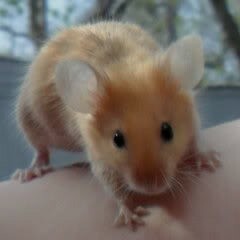 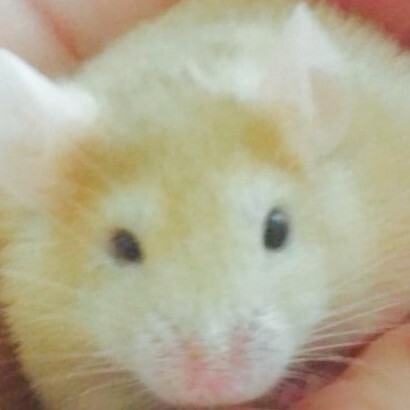 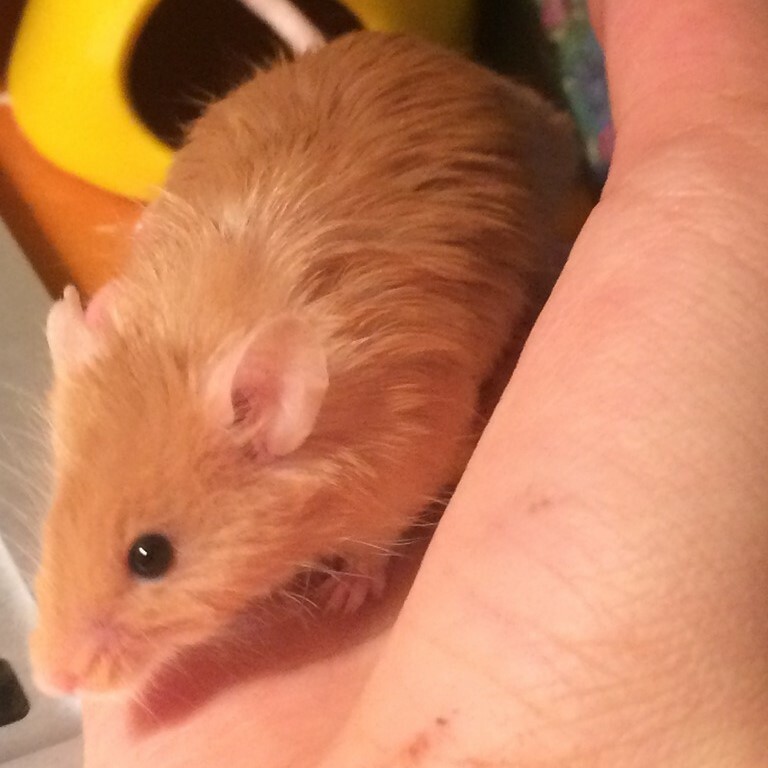 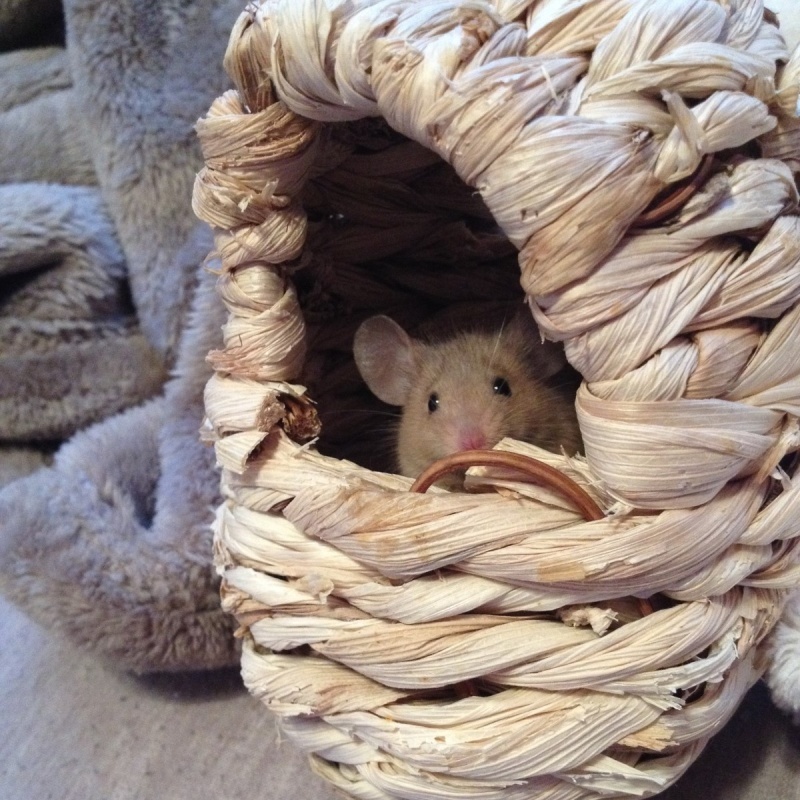 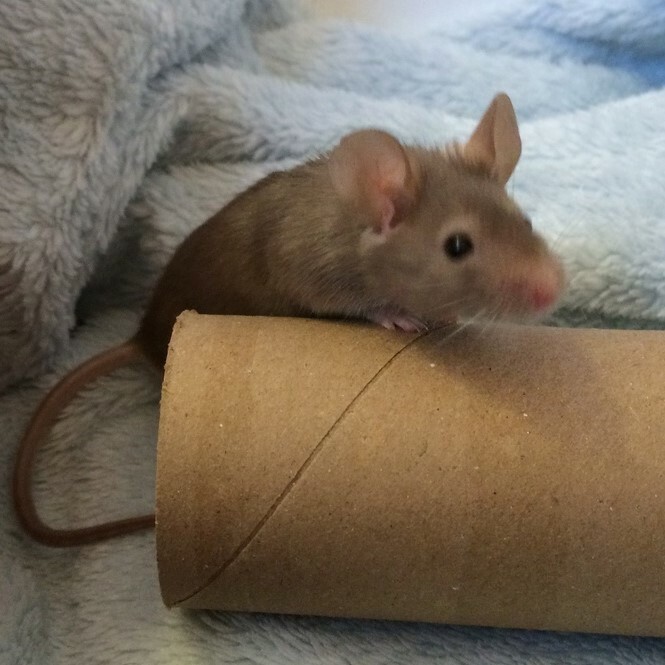 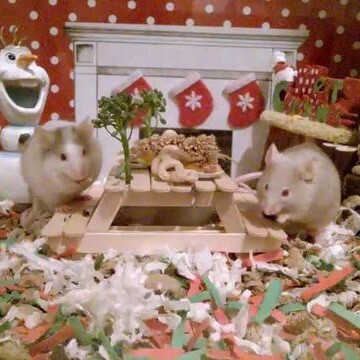 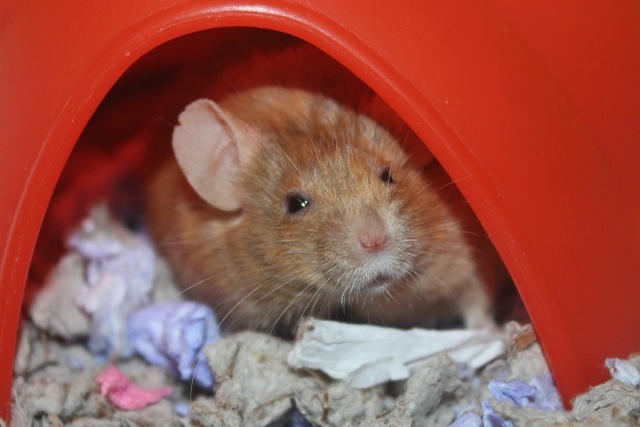 Clover, a very special little (not so little) mouse, passed away today. 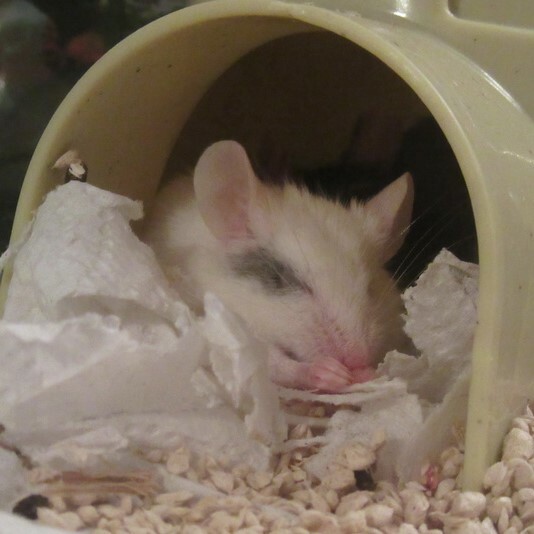 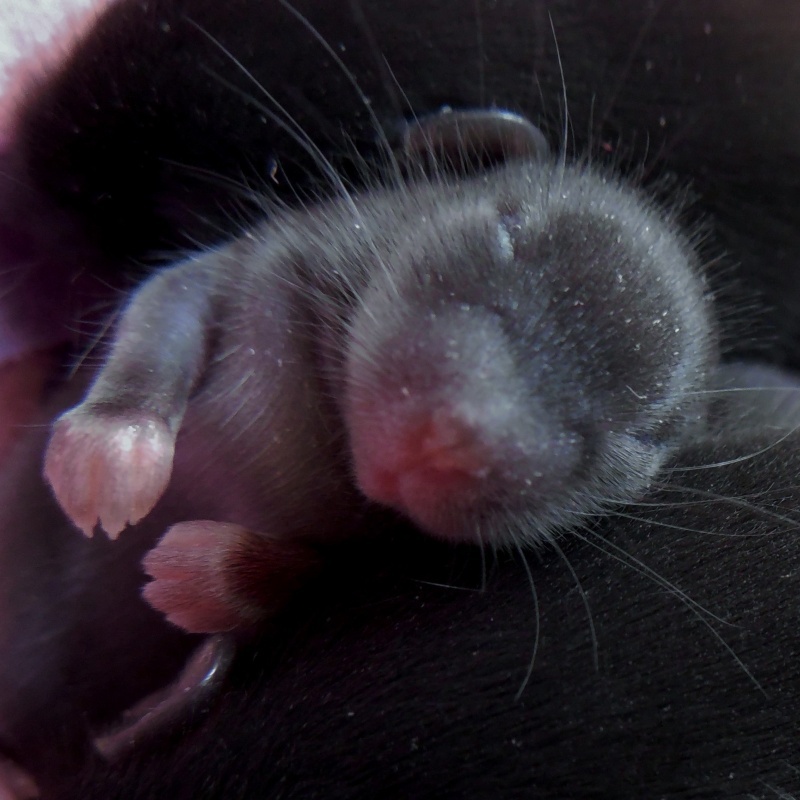 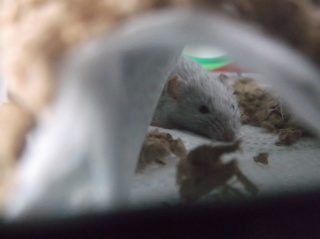 She appears to have passed suddenly in her nest while snuggling with her sisters, a very peaceful way to go. 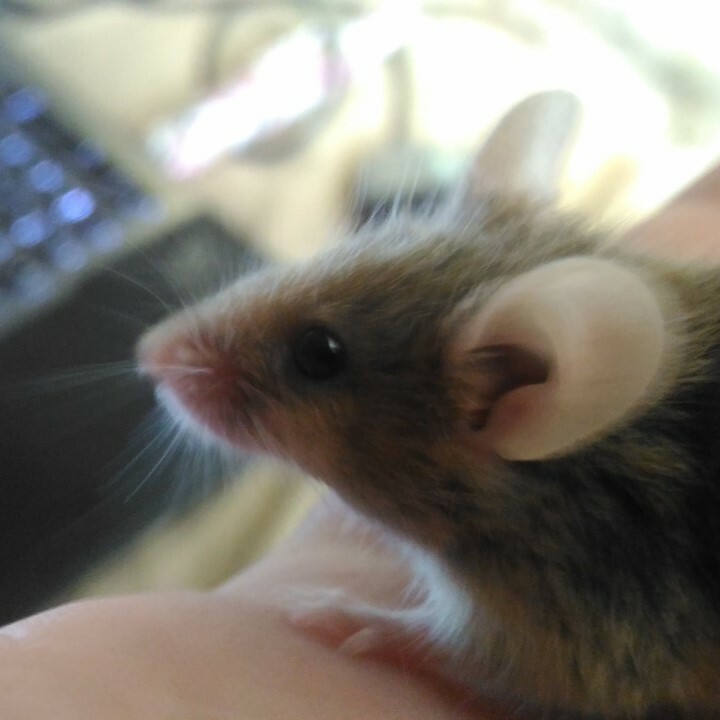 She was 1 year and 5 months old, so she wasn't terribly young, but I still didn't see it coming She still seemed active and curious, and didn't look elderly. 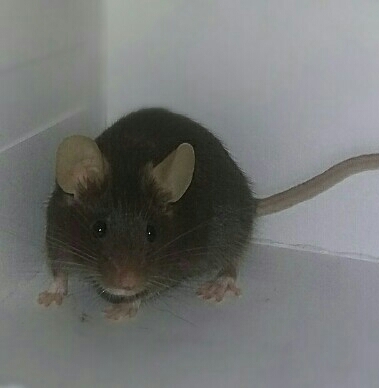 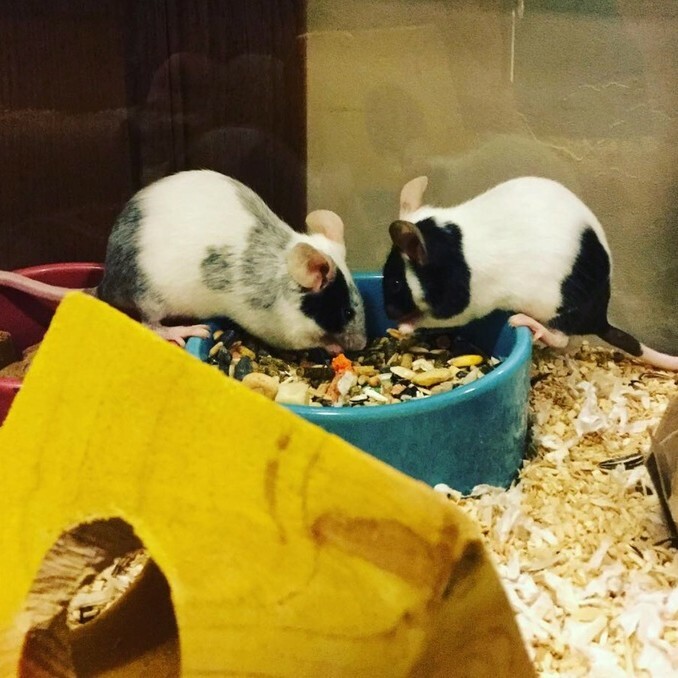 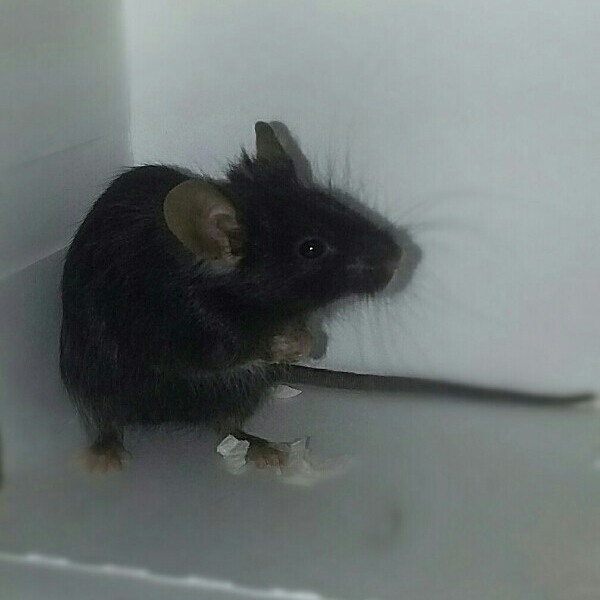 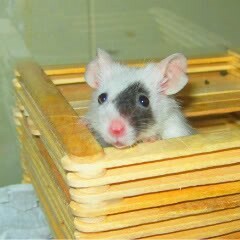 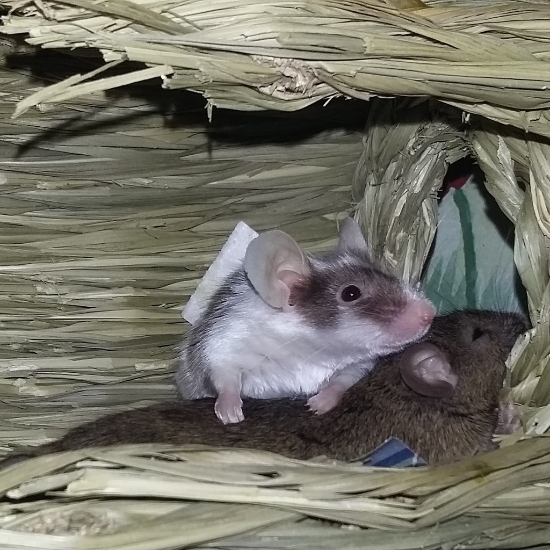 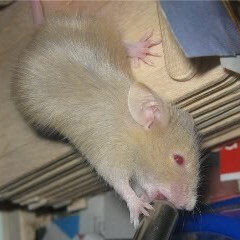 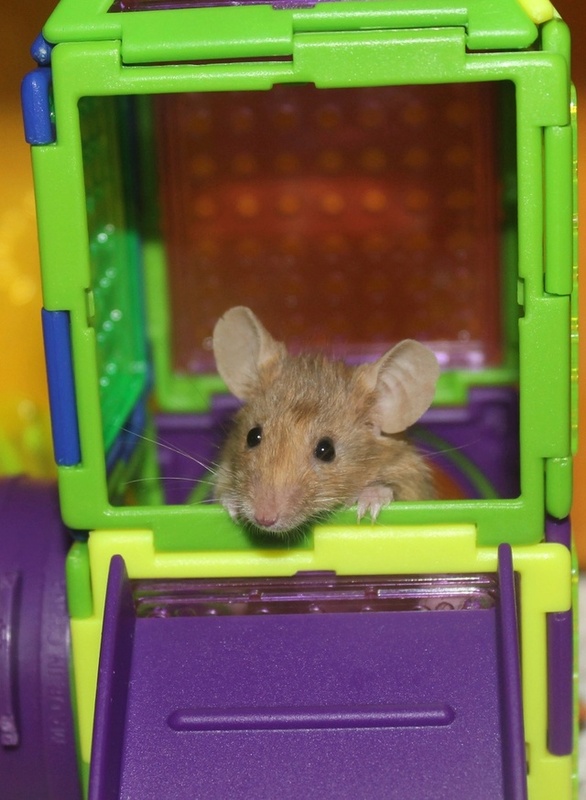 She was a good mouse and was really friendly to both me and her cagemates. 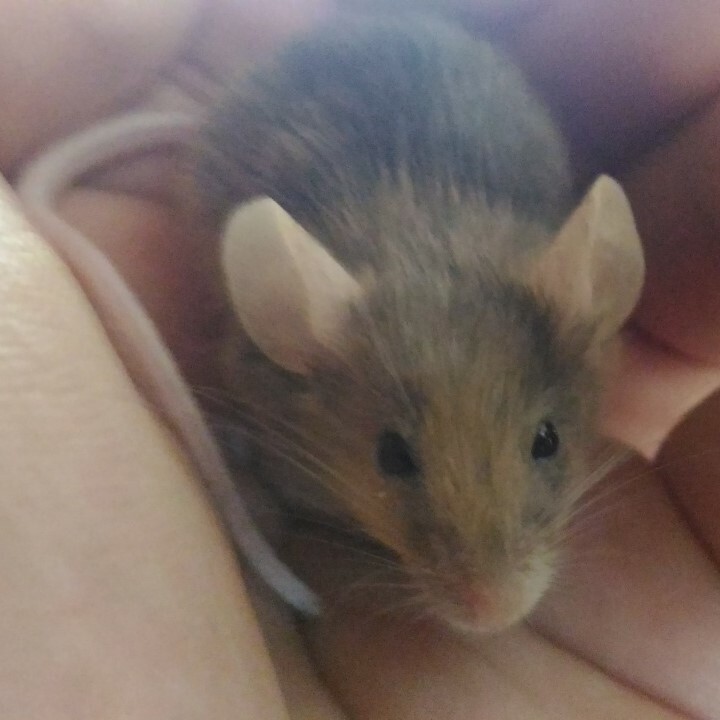 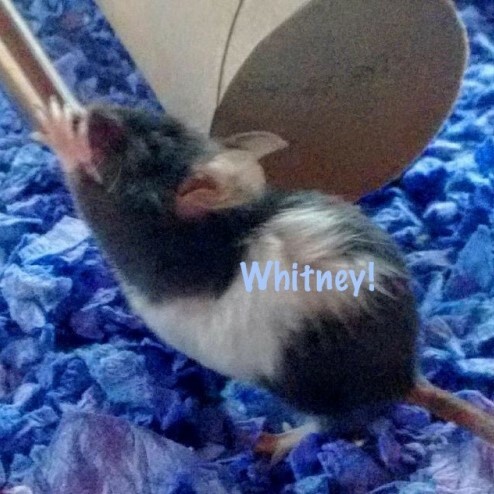 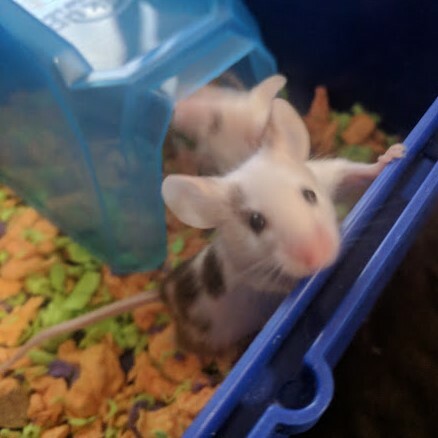 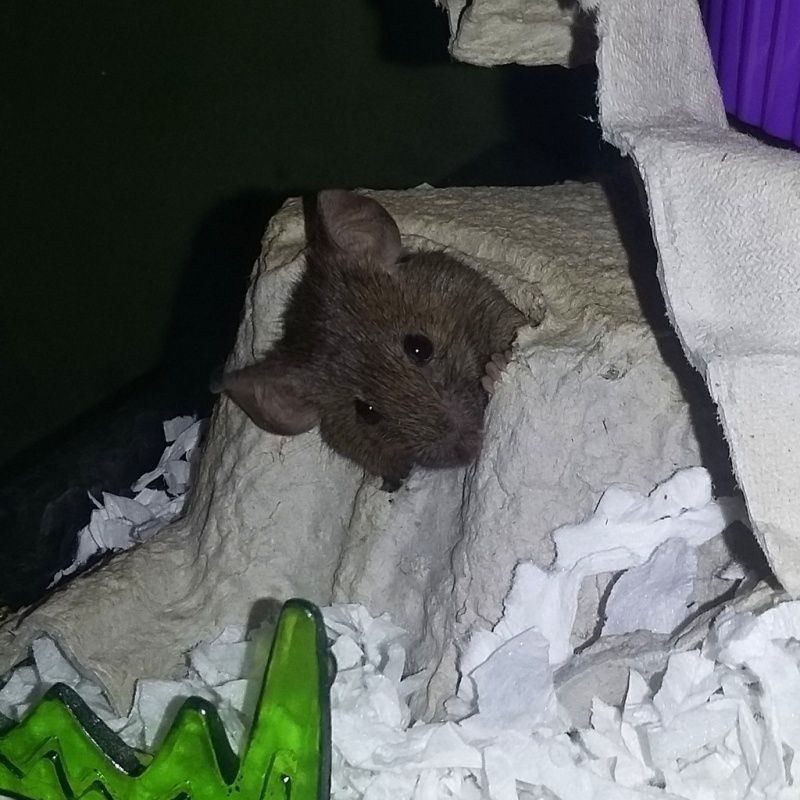 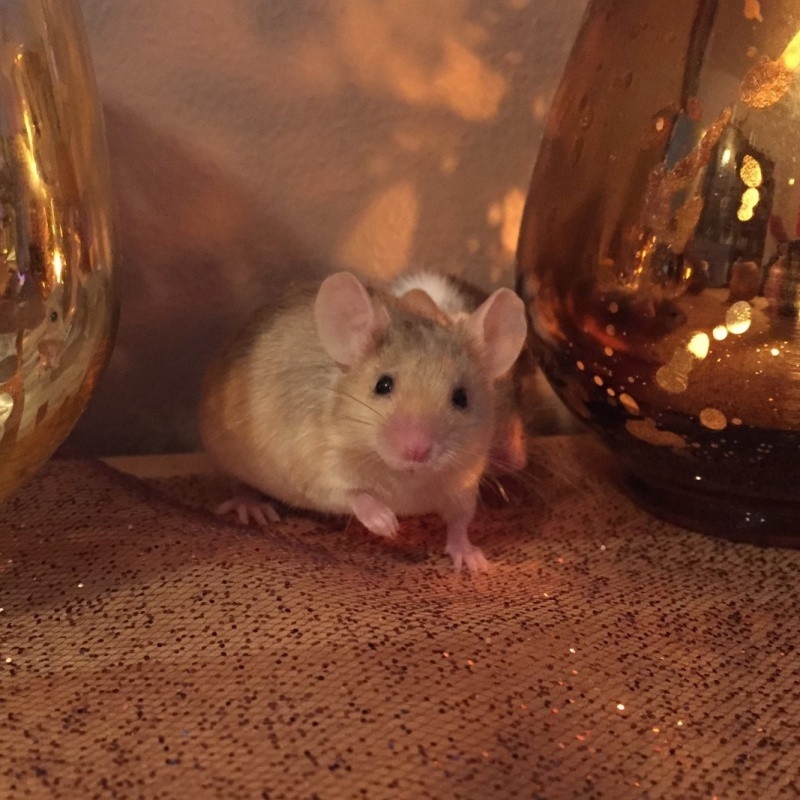 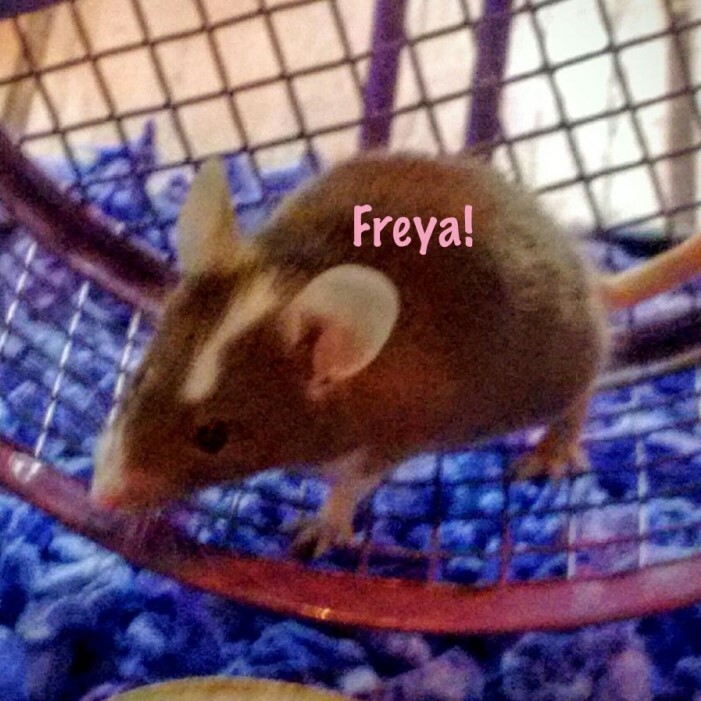 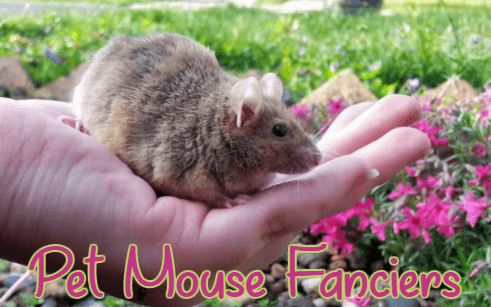 I'm not sure what else to say, she was a great mouse and I will never forget her She was very loved by me and her sisters. 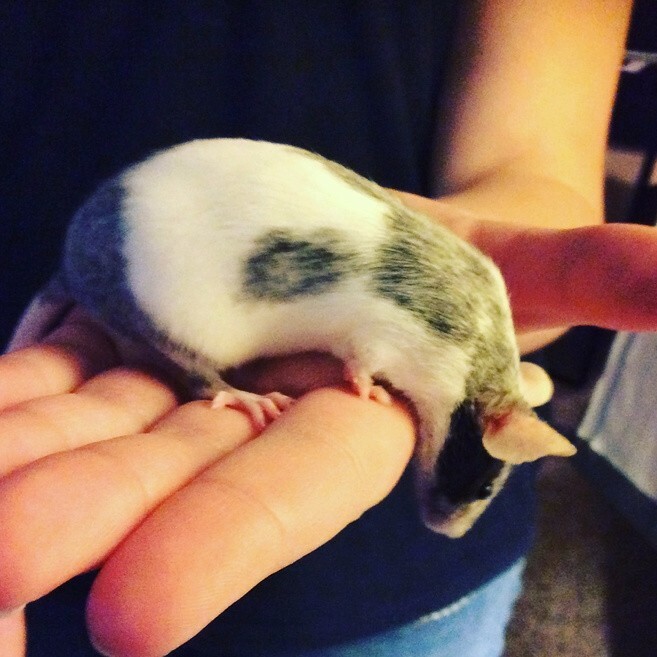 So sorry to hear, AMO. 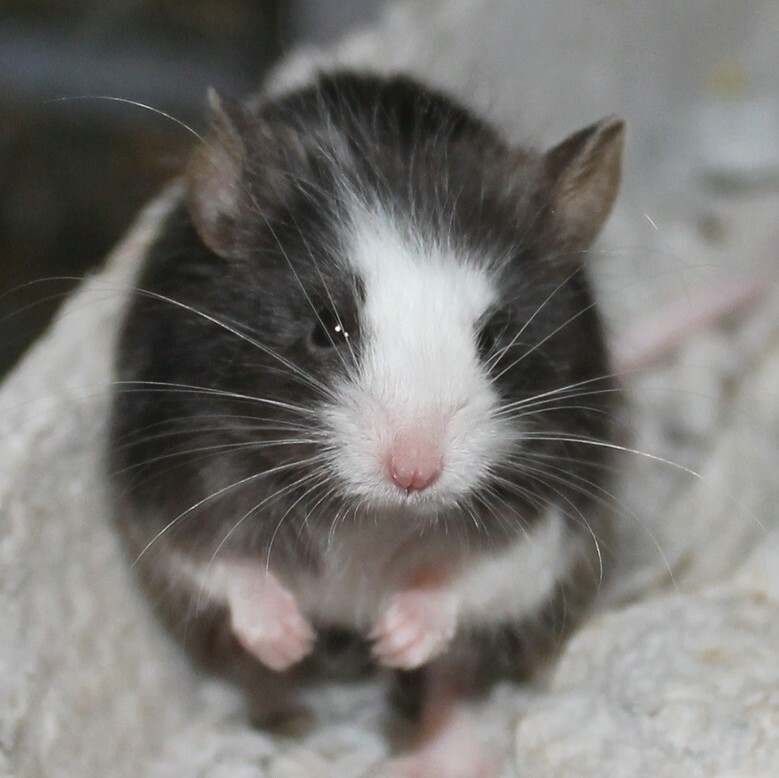 I have such a soft spot for big, cushy brindle mice, Clover was one of my favorites. 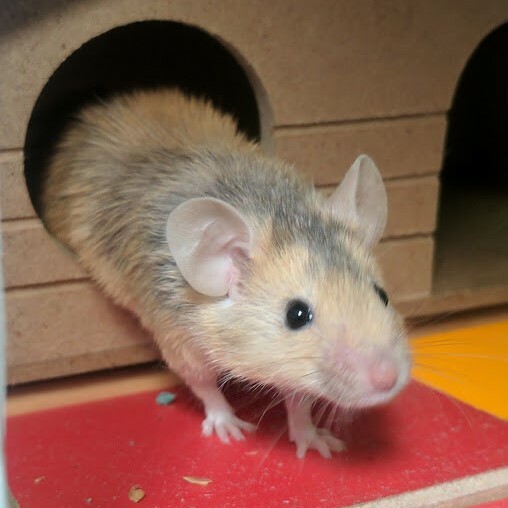 Play hard, dear girl! 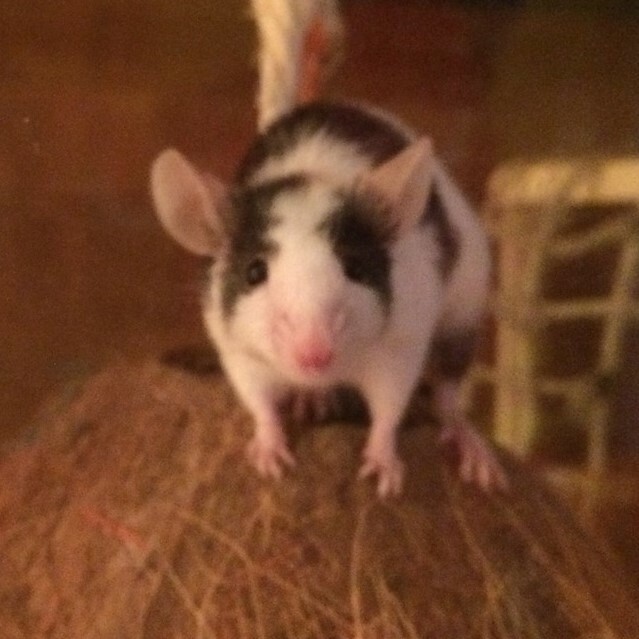 Aww, so sorry to hear of Clover's passing. 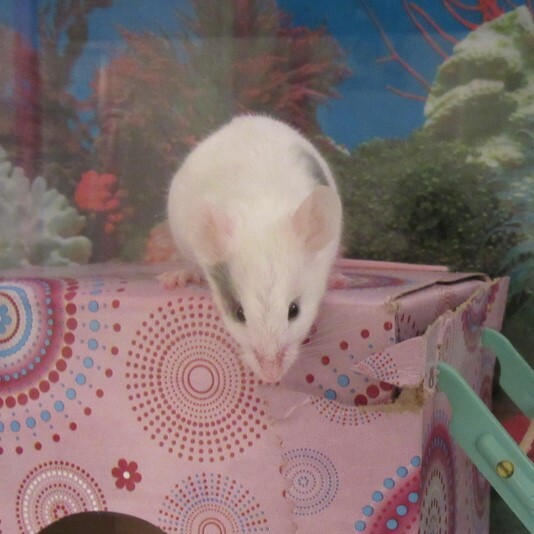 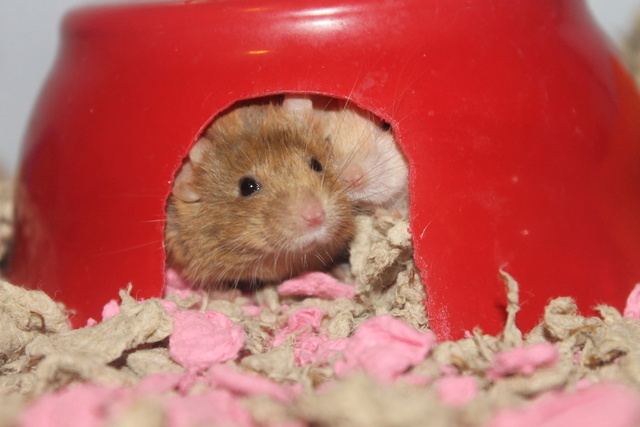 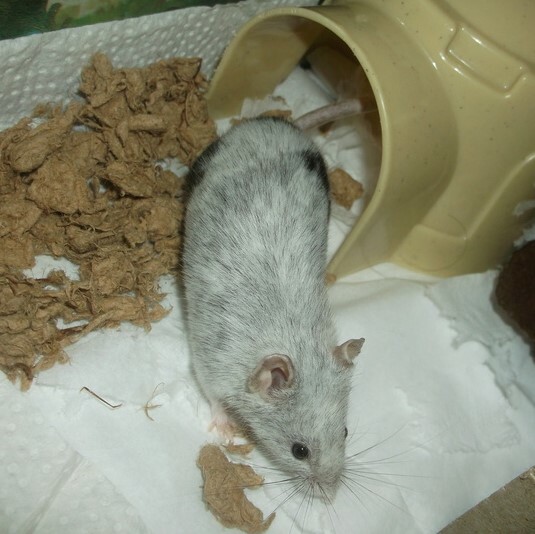 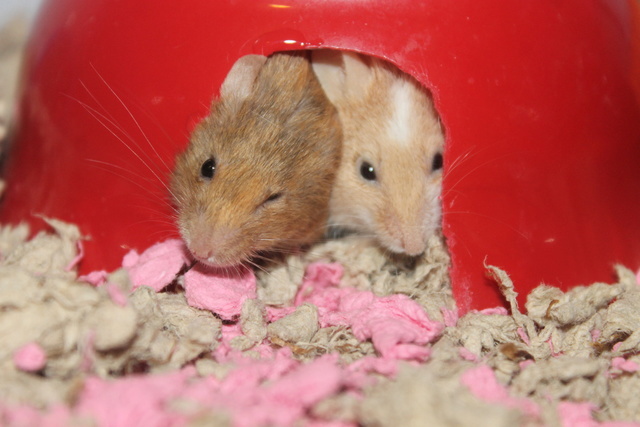 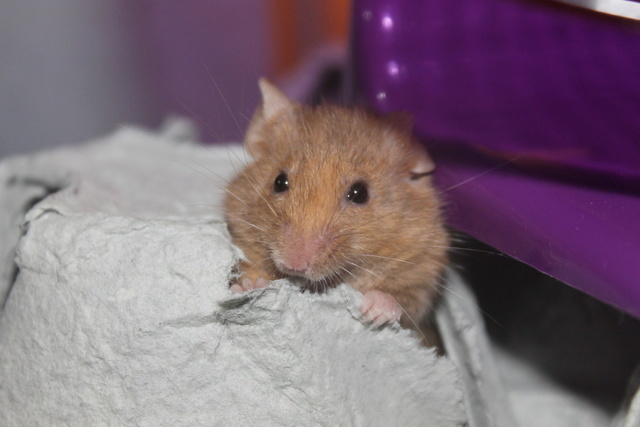 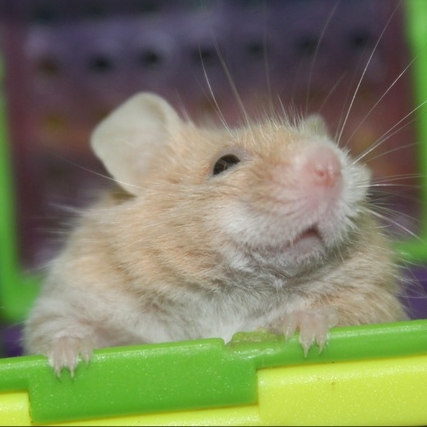 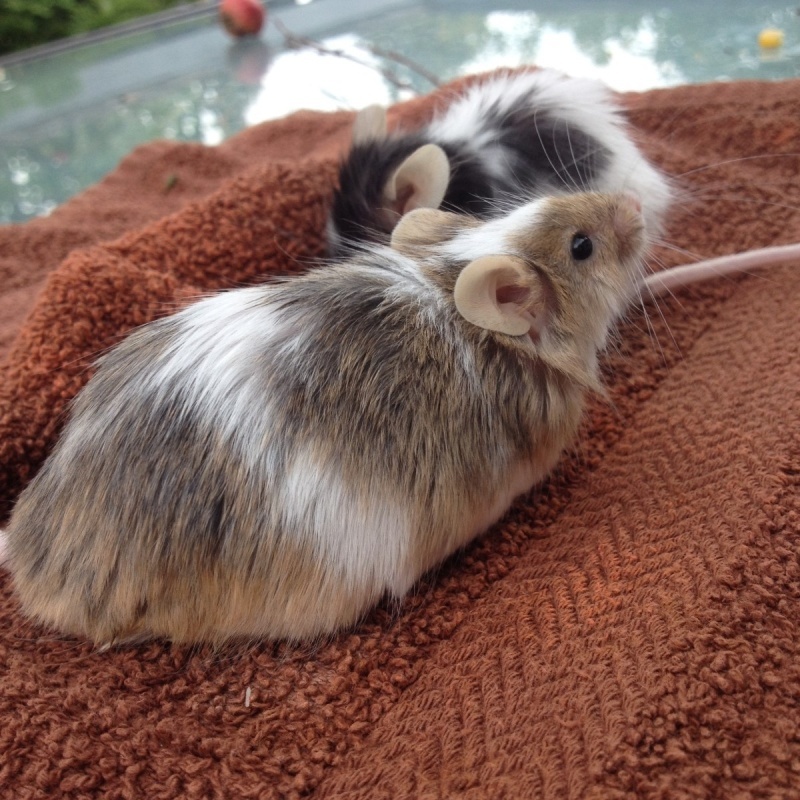 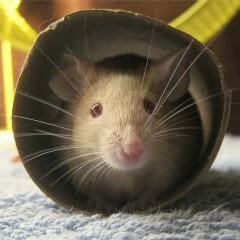 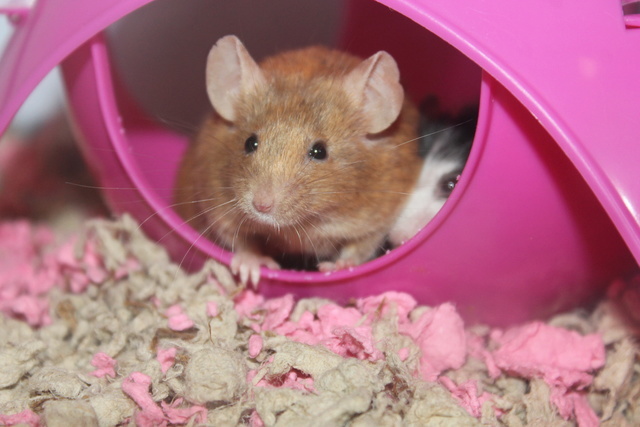 She was a beautiful girl and I know you and her cage mates gave her a wonderful life. 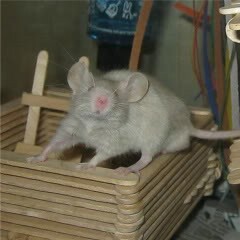 Very sweet video, thank you for sharing. 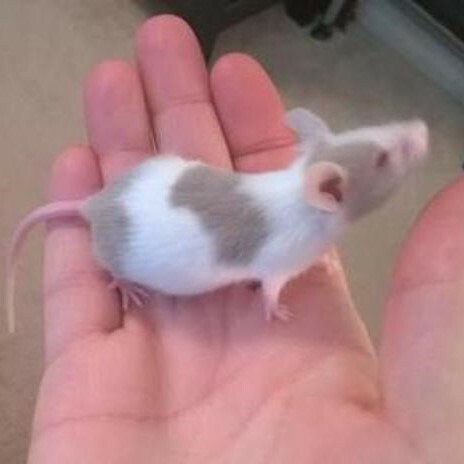 Sorry for your loss, AnonymousMouseOwner. 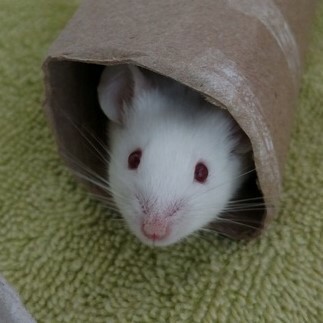 I just lost Lydia, my third girl, yesterday. 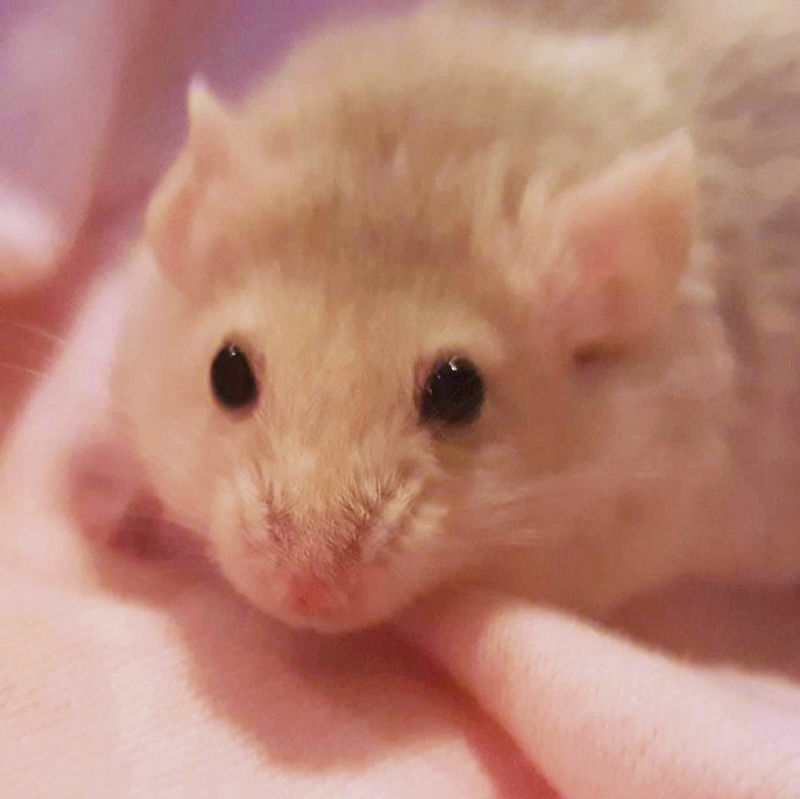 Clover was a very pretty girl, though. 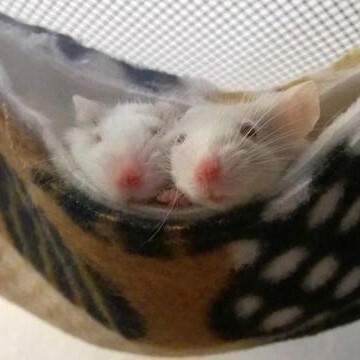 And at least you can feel good knowing she had a nice, happy life with you and her friends.